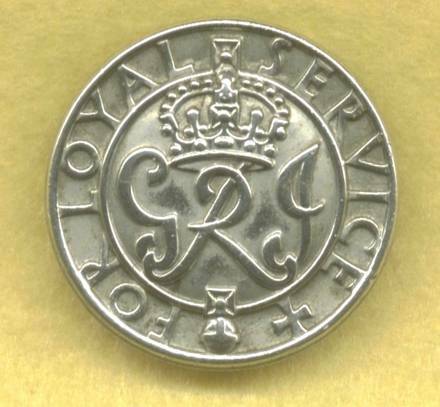 The silver Badge was Issued by George V to personnel who had served in the Armed Forces, but due to a medical condition had been returned to the UK. The badge was issued with a number on the rear, and were highly prized possessions. It was a way of saying I have been there, sent back with King's permission and I am not afraid to fight! Indeed young men who refused to sign up were indeed unpopular at the time, and in many cases branded a coward. Instituted in 1917 for service ashore in France and Flanders between 5 August and 22 November 1914. 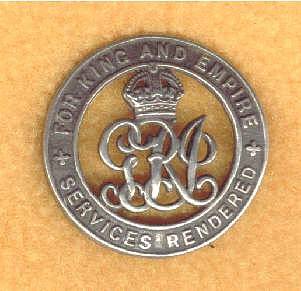 In 1919 a clasp bearing the above dates was authorised and given to those individuals who had actually been under fire between the prescribed dates. The clasp is sewn directly to the ribbon and is often referred to as the ‘MONS’ bar. This Star is always accompanied by the War Service Medal 1914-20 and Victory Medal 1914-19. Some 378,000 1914 stars were issued to members of the BEF and Royal Navy, however it is unknown how many Mons bars were awarded but is believed to be about five for every seven stars issued. When the ribbon was worn without the medal those entitled to the Mons bar wore a silver rosette in the centre of the ribbon. However this rosette was mistakenly worn by many recipients of the 1914 Star who were not entitled to the Mons bar believing it denoted the earlier of the two stars. The 1914-15 Star was instituted in 1918 and was awarded to those who saw service between 5 August 1914 and 31 December 1915. 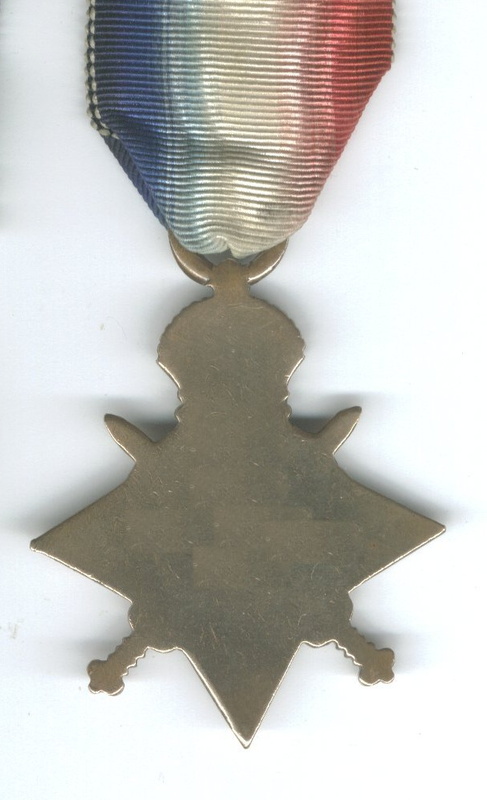 Those personnel eligible for the 1914 Star were not eligible for this medal. 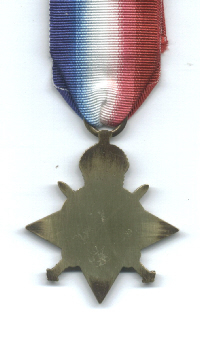 The medal was issued named, with the recipient's details impressed on the star's reverse. 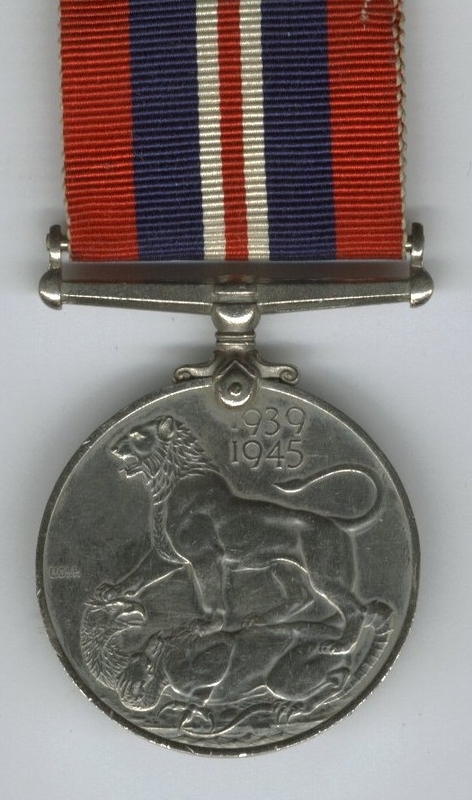 All recipients of this medal also received the British War Medal and Victory Medal. Approximately 2,366,000 1914-15 Stars were issued. Of this total, 283,500 to the Royal Navy and 71,500 to Canadian personnel. This medal commemorates some of the bloodiest battles that have ever been fought by British & Commonwealth troops. 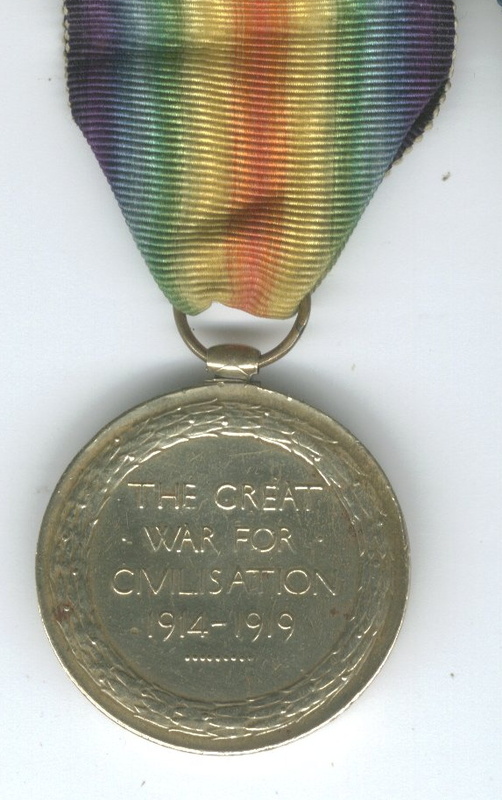 The medal was instituted by King George V in 1919 to mark the end of the First World War and record the service given. Although the First World War ended in 1918, the qualification period was extended to cover post-war mine clearance and service in Russia during 1919-20. A total of approximately 6,500,000 silver medals were issued. A total of approximately 110,000 bronze versions of this medal were issued to Chinese, Maltese, Indian and other native Labour Corps and also to other native personnel who were mobilised for war service and received pay at military rates. This medal was issued to Royal Navy personnel who performed 28 days mobilised service, or lost their lives in active operations before completing that period, between 5 August 1914 and 11 November 1918. This medal was issued to Army personnel who either entered a theatre of war on duty or who left their place of residence and rendered approved service overseas, other than the waters dividing the different parts of the UK, between 4 August 1914 and 11 November 1918. This medal was issued to members of the Royal Air Force (after 1 April 1918), Royal Flying Corps and Royal Naval Air Service (both prior to 1 April 1918). The recipient had to be actively engaged in the air against the enemy whilst on the strength of an operational unit in the UK, employed in flying new aircraft to France or formed part of the complement of an aircraft-carrying ship. This medal was instituted in 1919 to commemorate the victory of the Allies over the Central Powers. It was resolved that each of the Allies should issue a Victory Medal to their own nationals. All the issues would have the common obverse of a picture of Victory. Approximately 5,725,000 British Victory medals were issued. Those personnel who gained a MID between 4 August 1914 and 10 August 1920 wore the oak leaf on the medal's ribbon. 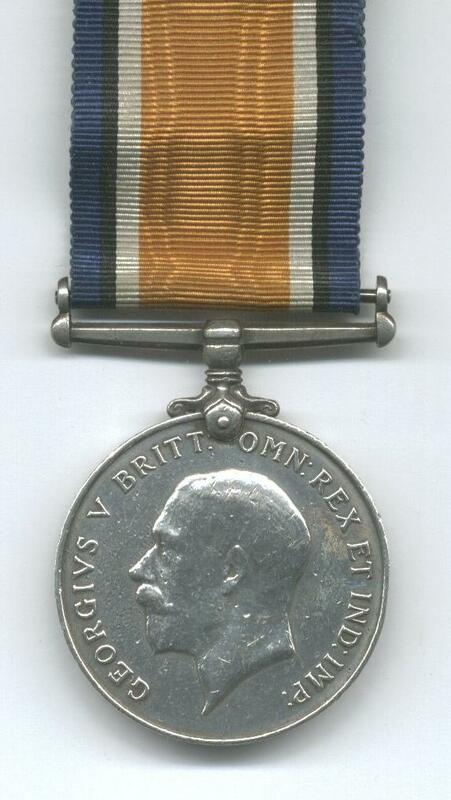 The medal was issued to Navy personnel who were mobilised and gave service at sea between 4 August 1914 and 11 November 1918 or who were on the establishment of an unit within an operational theatre. 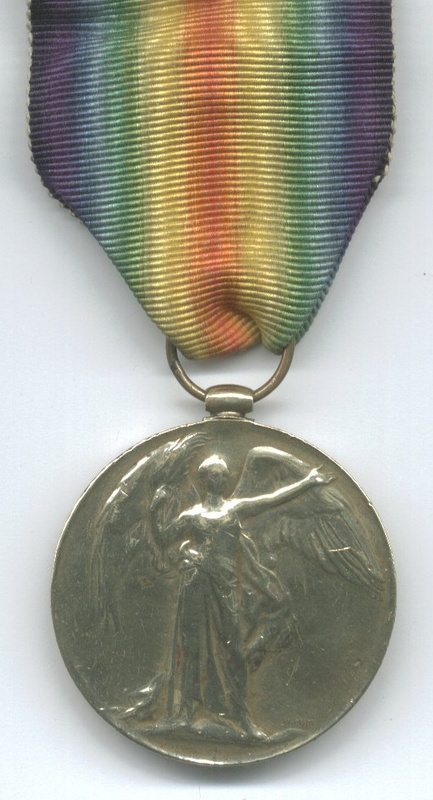 The medal was issued to Army personnel who actually served on the establishment of a unit within a theatre of war within the period 4 August 1914 to 11 November 1918. This medal was issued to members of the Royal Air Force (after 1 April 1918), Royal Flying Corps and Royal Naval Air Service (both prior to 1 April 1918). The recipient had to be serving with a unit within a theatre of war within the date period specified, serving with an operational unit in the British Isles or overseas and who were actively engaged in the air against the enemy, who flew new planes from Britain to France or formed part of the compliment of an aircraft-carrying ship. who didn't qualify for any other campaign medal or star. Approximately 33mm in diameter. This medal's qualification requirements are numerous and varied. They are summarised into the following points. •	Service in the Forces in non-operational areas subjected to air attack or closely threatened, providing such service last at least three years. •	Non-operational service in the Forces overseas or outside the country of residence, providing that this service lasted for at least one year. If the territory was threatened by the enemy, or subjected to air raids, the duration requirement was reduced to six months. •	Civil defence in military operational areas providing these civil defence activities were not eligible for campaign stars. 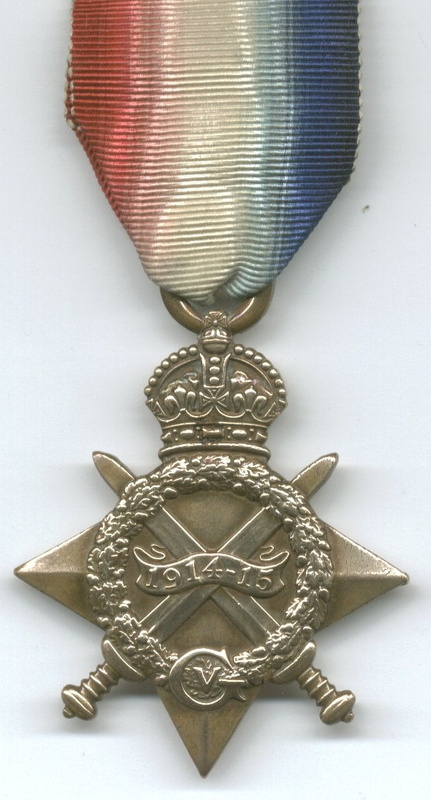 •	Members of any of the civilian services entitled to wear chevrons for their war service were eligible for this medal. •	Members of the Home Guard resident in the UK, who had completed at least three years service. 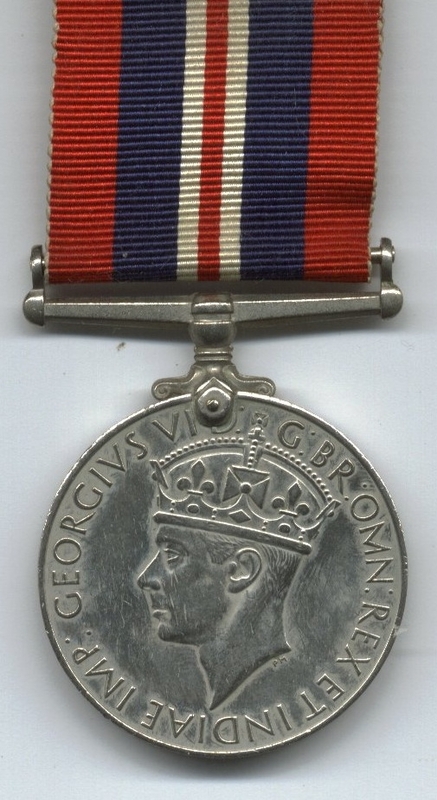 •	Recipients of the George Cross or George Medal, regardless of their occupation, provided the George Cross or George Medal were won for service in civil defence. In general a cross through a code indicates that the medal was issued; a circle over a code indicates that only the ribbon for that medal has been issued; a cross and a circle indicate that both a medal and a ribbon have been issued. The letter "R" over a code can signify that an application for that medal was reviewed and refused. •	An RAF pilot who qualified first for the Atlantic Star and then the France & Germany star, would wear the Atlantic Star with France and Germany clasp. •	A soldier who won the Pacific Star, and then gained the Burma Star, would wear the Pacific Star with Burma clasp.